Premier League club warned for 'false advertisement'. Tottenham Hotspur have been sanctioned over an advertisement failure. tottenham hotspur sanctioned after claiming their new stadium was the only place to watch champions league football in London. Tottenham have been warned by the Advertising Standard Authority and advised not to advertise for claims that they are unable to fulfil, after looking unlikely to advance to the later stages of the biggest club competition in Europe, the Champions League. This comes as a developing saga of problems with their new stadium, which was meant to open in September but has been delayed until further notice, this has caused Spurs to use Wembley instead for a second season. 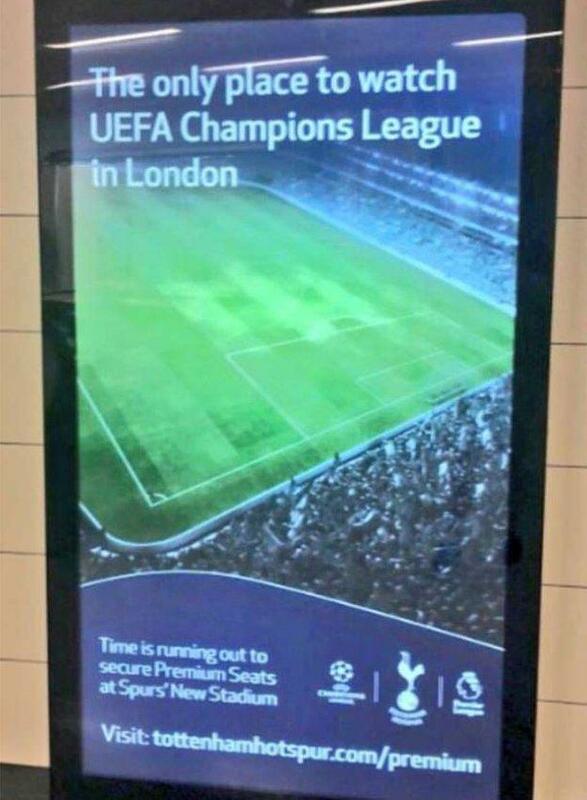 The advertisement read "The only place to watch UEFA Champions League in London" and showed the incomplete stadium. Two complaints have been made to the Advertisement Watchdog and it would come as no surprise that a fan of North London rivals, Arsenal, would complain to the ASA due to their rivalry that extends all the way back to post-war 1918 and has only recently been renowned as one of the fiercest rivalries in Football. The ASA has said that the ad was in fact "misleading" and that the "case was assessed and dealt with". They have also confirmed that they have contacted the football club to advise them not to make advertisements they cannot keep to, as it causes disappointed customers, the club has also been advised to "ensure it is removed" if it is still running. Spurs have not made any official statement, however, the advert was only intended to run from May through to the June of this year. It is possible that they could receive some sanctions in the future if they do not qualify for the knock-out stages as this would have been a false advertisement. 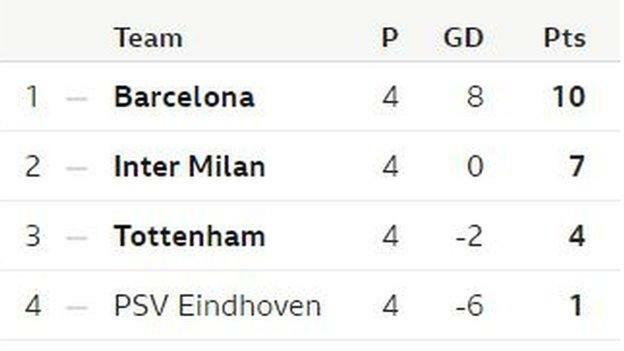 Spurs still do have hope to make it out of their groups though, as they have two games left against Inter Milan and Barcelona and 2 wins would put them in good stead to progress in this year's competition. Despite this, it hasn't prevented fans from mocking the club as it heads into the crucial last games of the Group Stage. do you think Spurs should be punished for a breach of standards? let us know in the comments below!